Pros: One of the benefits of gold bullion coins is that they have been used through history and are usually recognized anywhere. Pros for gold and silver bullion coins include the fact that they can be converted to cash or used for currency, and this is something you cannot do with a stock certificate or other paper. Other precious metal coins have also seen an increase in popularity, including platinum coins, silver and palladium. When you choose a gold coins investment you will probably pay more than if you chose bars, because there is normally a higher markup involved, but coins have an appeal that is universal. Even a large collection can usually be stored and secured easily, without a lot of expense. You can choose from precious metals like gold and palladium coins, and there are many varieties to choose from. You can take possession of your bullion and hold it in your hands, unlike many other investment types like Gold certificates, ETF’s or gold mining stocks. 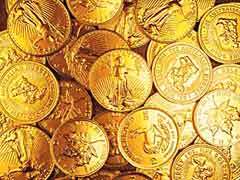 Cons: There are some cons to a gold coins investment, as well as benefits for investors. Because you will pay more for this form of bullion, you may end up seeing a lower gold investment performance over the long term because of the higher markups when compared to bars instead. Even precious metals carry some risks, and gold has been confiscated in the past by the government. This will probably not happen again but there is always the possibility it could happen. In this case then a gold coins investment may be affected. There’s an added cost with owning bullion, dealer premiums that are fees sellers charge over the actual price of its metals value. It makes sense to choose bullion products with the lowest premium costs to capitalize on the price of the metal. Another aspect many investors forget is capital gains tax in case you decide to sell off your bullion. Indeed, the tax bracket they fall into is “Collectibles” which is calculated at 28% rate. With such a high tax rate it makes you wonder whether you should invest in the gold bullion to begin with. Yellow precious metals may have some cons, but the benefits are definitely worth it for most investors. No matter your reasons, it’s worth having some these coins in your portfolio for diversification reasons.